No two marriages are alike, and no two divorces are alike. If you are facing a divorce, it is important that you truly consider your options and determine which will be best for you. 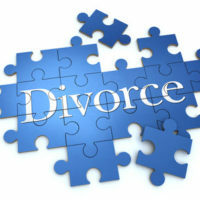 Your due diligence may be just what you need to obtain a divorce in an as quick and cost-effective manner as possible. Our Boca Raton divorce attorneys at WiseLieberman, PLLC, can assess your current situation and guide you toward the best separation option for your mental and financial health. A do-it-yourself divorce almost never makes sense. If you go the DIY route, you risk making legal and costly mistakes, many of which may be irreversible. In a collaborative divorce, couple agrees to work out a settlement without going to court. Collaborative divorce involves you and your spouse both hiring your own separate attorneys. Each attorney will advise and assist you and your spouse, separately, in settlement negotiations. You will meet with your attorney both separately and with your spouse and his or her attorney. If necessary, your divorce may require the help of a divorce financial planner who can help you work through your financial issues; a family therapist who can assist with custody negotiations; and other professionals who can guide you through emotionally charged issues. If you and your spouse agree to a collaborative divorce, and if you fail to reach an agreement outside of court, your attorneys will have no choice but to withdraw from your case. You will both be forced to hire new attorneys and restart the process. However, if you can reach an agreement, the collaborative process can save you both a significant amount of time, money, and headache. Mediation is similar to the collaborative process in that you and your spouse attempt to negotiate a settlement outside of court. However, unlike in the collaborative process, you and your spouse work with a neutral third-party in addition to your two separate attorneys. The neutral mediator may or may not be a lawyer. However, he or she is should be well-versed in the area of family law and divorce. Mediation puts you in control of your fate.. Mediation is also best for individuals with children, as it encourages collaboration and compromise, which is what you will be doing a lot of once you and your spouse are co-parenting. Mediation also helps to reduce the cost of divorce and may expedite the proceedings.
. Mediation can fail for a number of reasons, including failure for you and your spouse to come to an agreement; failure to devise a fair agreement; failure to devise an enforceable agreement; and failure to disclose all marital assets. A litigated divorce does not have to go to court – in fact, approximately 95 percent of litigated divorces settle out of court. If you and your spouse are contemplating divorce, at the very least consult with a lawyer. Our legal team at WiseLieberman, PLLC, can assess your unique circumstances and advise you on the best course of action. Call our law firm today to get started.